Book(ed) Passage: Swampalandia! comes to Book Passage! Swampalandia! comes to Book Passage! Emma Donoghue's glowing review of Swamplandia (in Sunday's New York Times Book Review) reminded readers of what we all suspected - that Karen Russell is a new writer to reckon with. 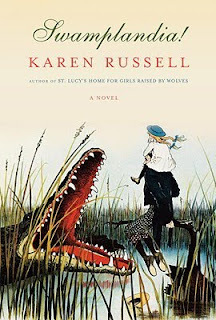 Russell's first book, a collection of stories from 2006 titled St. Lucy’s Home for Girls Raised by Wolves (Vintage, $15.00), proved to be a hit with readers throughout the Bay Area. It was also a San Francisco Chronicle, Los Angeles Times, and Chicago Tribune Best Book of the Year. Donoghue, who last year appeared at Book Passage to promote her novel, Room, described Swamplandia as "Vividly worded, exuberant in characterization" and a "wild ride," to which the award-winning Irish-Canadian writer added, "Russell has style in spades." 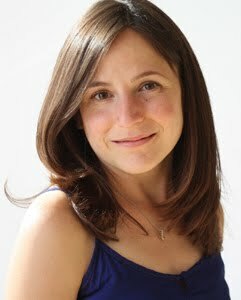 Donoghue's praise was echoed the same day in the pages of the San Francisco Chronicle, where reviewer Lauren Groff called Russell's first novel "outrageously exuberant." Against a backdrop of hauntingly fecund Floridian plant life animated by ancient lizards and lawless hungers, Russell has written a singular novel about a family’s struggle to stay afloat in a world that is inexorably sinking. Swamplandia is a beautiful and inventive work from a vibrant new voice in fiction. Russell, a native of the state of which she writes, has been featured in The New Yorker’s debut fiction issue and on The New Yorker’s 20 Under 40 list, and was chosen as one of Granta’s Best Young American Novelists. In 2009, she received the 5 Under 35 award from the National Book Foundation. Three of her short stories have been selected for the Best American Short Stories volumes. She is currently writer-in-residence at Bard College.